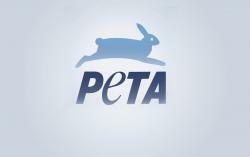 Here at PETA and the PETA Foundation, we do everything bigger, louder, and better—even our internship program! Each internship is unique in the experiences it provides. You’ll get to work with (not for) staff members to sharpen your skills as an animal rights activist. You could help raise awareness about animal rights through public outreach and direct animal care, improve yourself with in-office trainings and seminars, enjoy delicious vegan lunches, and so much more. One day, you may be on the road with our campaign staff or spending time with PETA Future at Warped Tour, reaching thousands of young people with animal rights information. The next, you may be helping us research the top vegan-friendly college campuses. Whatever their interests, our interns are right in the mix of it all. Talk about exposure—our interns are able to attend daily brainstorming sessions with PETA President Ingrid E. Newkirk and Executive Vice President Tracy Reiman as well as several members of senior staff to discuss the news of the day and how we can get animal rights into the conversation. No two of our internships are alike, and we’re dreaming up new and exciting projects every day. Awesome! How do I apply?